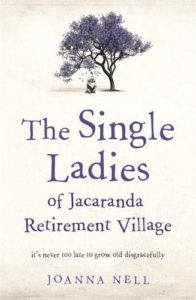 The Single Ladies Of Jacaranda Retirement Village by Joanna Nell is the most delightful novel about love and friendship and life. The novel explores how frustrating it can be when you are treated as old and infirm. Being older in years does not equal deaf and daft. If we are still breathing, we can have fun. The residents of the retirement village are well past their first flush of youth and had forgotten how to live until a sprightly seventy nine year old breezes in and shows them how to grow old disgracefully. There are some very amusing moments as words are forgotten or substituted. Malapropisms are the order of the day.